HEAT PUMPS is a device that provides heat energy from a source of heat to a destination called a “heat sink". Heat pumps are designed to move thermal energy opposite to the direction of spontaneous heat flow by absorbing heat from a cold space and releasing it to a warmer one. VERSOL Heat Pumps “VERSOPUMPS” are designed to suit different applications like Swimming pool heating, Swimming pool cooling, domestic water cooling, boiler back up etc. 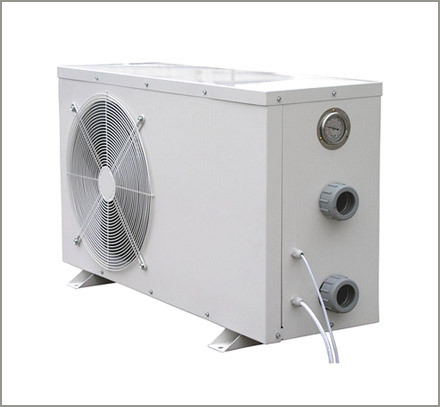 VERSOPUMP can be two types- Air/Water Heat Pumps and Water/Water Heat Pumps.